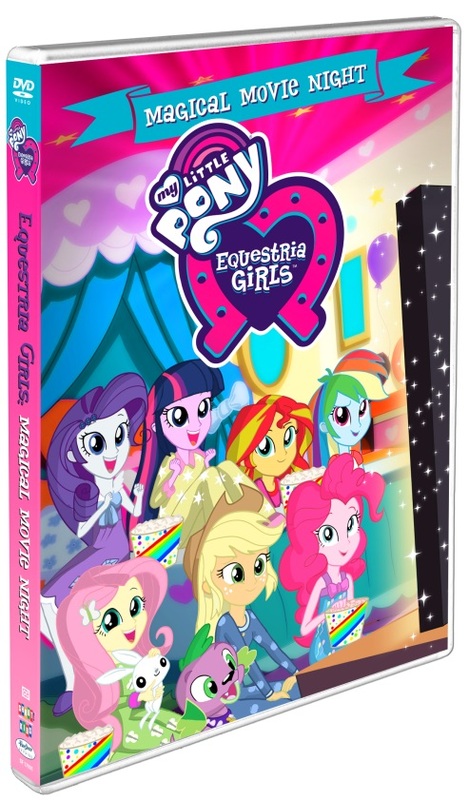 Looking for a fun movie for your My Little Pony Equestria Girls fan? Well Grab your popcorn, because the Equestria Girls are back for a magic-filled triple feature! There's a reason these seven girls look familiar. . . as they step through a magical mirror, they transport from the world of My Little Pony, transforming into teenage girls at Canterlot High. Dance Magic - With the Camp Everfree fundraising deadline looming, the Equestria Girls realize they need a new plan to raise more money and are ready to try new things. Rarity finds out about a music video competition, with a huge cash prize, and she’s eager to convince her friends at Canterlot High to enter the contest. However, the girls soon learn that Crystal Prep Academy is also interested in participating in the contest. The students at CPA have many more resources and are better dancers! The girls learn that sometimes coming together instead of competing is the best plan of all! Movie Magic - The Equestria Girls have been specially invited by A.K. Yearling to go on the set of the upcoming Daring Do movie and they are overjoyed. For super-fan Rainbow Dash, watching behind the scenes as her favorite heroine comes to life is a dream come true. However, when a rare and important prop from the set goes missing, putting the movie on hold, Rainbow Dash’s dream becomes a nightmare. The Equestria Girls take it upon themselves to track down the missing prop and end up trotting into a real-life Daring Do adventure! Mirror Magic - As the pages in her journal run out, there’s only one thing for Sunset Shimmer to do: return to Equestria as a pony to get a new journal! There, she meets new pony Starlight Glimmer and agrees to bring her back through the mirror portal to experience life as a human girl at Canterlot High. However, while Sunset Shimmer is away, a revenge‐seeking Juniper Montage finds a beautiful hand mirror enchanted with Equestrian magic. Not only can it provide a window into another land, but if you push the right button, It can also make things disappear into limbo, trapped between the two realms! Sunset Shimmer and Starlight Glimmer return to find the Mane 6 missing and Juniper Montage acting extremely suspicious. Will Sunset Shimmer and Starlight Glimmer save the girls, or are the Mane 6 lost in limbo for good? My Little Pony Equestria Girls – Magical Movie Night comes to DVD on August 8, 2017 from Shout! Kids in collaboration with Hasbro Studios. Pre-order is available now at Amazon.com and ShoutKids.com. The retail cost of the DVD is $14.99 but is now on sale for $8.62 on Amazon.com. Is this a DVD your My Little Pony fan would love? Be sure to pick up a copy on 8/8/17! 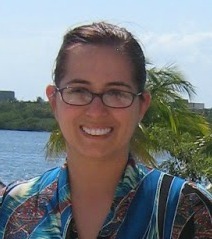 The generous folks at Shout! 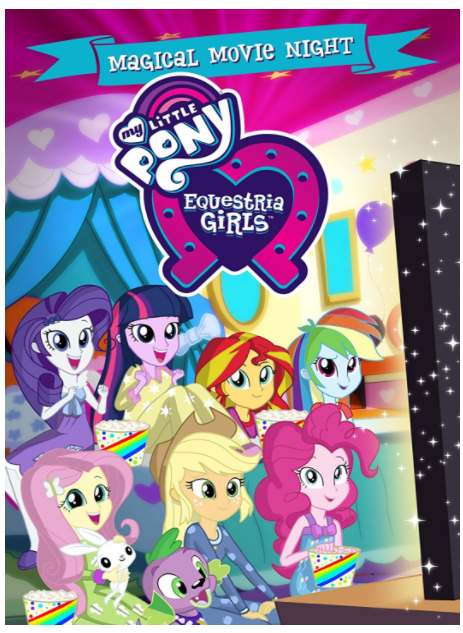 Kids are giving three of Susan’s Disney Family readers a chance to win their very own copies of My Little Pony Equestria Girls Magical Movie Night on DVD. Would you like to enter? Please let me know who would love to see this new DVD and why? There are also other ways to enter, please enter below. My Little Pony Equestria Girls – Magical Movie Night comes to DVD on August 8, 2017 from Shout! Kids in collaboration with Hasbro Studios. Pre-order is available now at Amazon.com and ShoutKids.com. My daughter would love to see this. She loves My Little Pony. My daughter is obsessed with ponies! My kids. They all love mlp. Both my kiddos would love to see this movie. They love the My Little Pony shows! My daughter and son would both love to see this movies, especially my son, he loves My Little Pony! My niece and I would both love to see this movie. She loves the ponies. I want to see this with my daughter because she loves seeing the ponies and it's nostalgic for me in the earlier version when I was younger! My daughter would love this. She is a MLP fan. 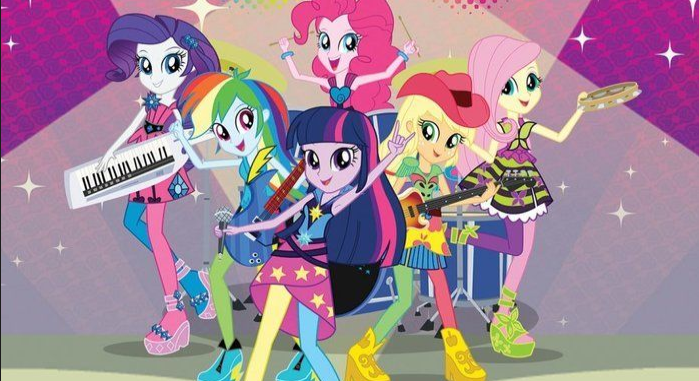 My grandchildren would absolutely love a cool My Little Pony Equestria Girls Magical Movie Night DVD for a fun time. I have grandchildren that definitely would like an amazing My Little Pony Equestria Girls Magical Movie Night DVD to watch everyday. My nieces and nephews absolutely want a marvelous My Little Pony Equestria Girls Magical Movie Night DVD for a neat time. A wonderful My Little Pony Equestria Girls Magical Movie Night DVD would be nice for all of my grandchildren to have for good times. My many children would just like an awesome My Little Pony Equestria Girls Magical Movie Night DVD to always enjoy and see.